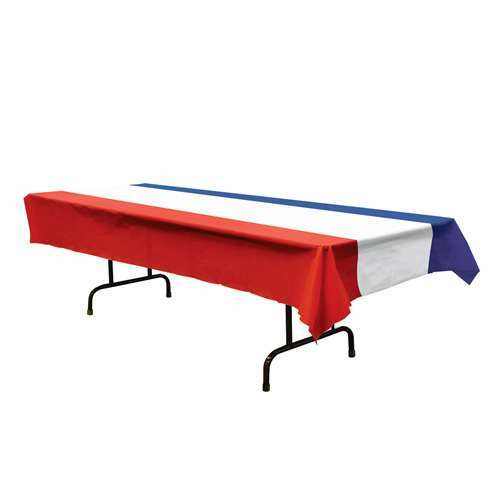 Add some extra flair to your party decorations with this Patriotic Table Cover. It's perfect for any patriotic holiday or other themed parties. Place it on any table that you want to add a little something to. Makes clean up quick and easy too so you can spend more time enjoying the party! 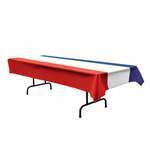 Each Package Includes one Patriotic Table Cover (54 in x 108 in) made out of a plastic material.